Enjoy the best inspirational, motivational, positive, funny and famous quotes by Antoine Pinay. Use words and picture quotations to push forward and inspire you keep going in life! 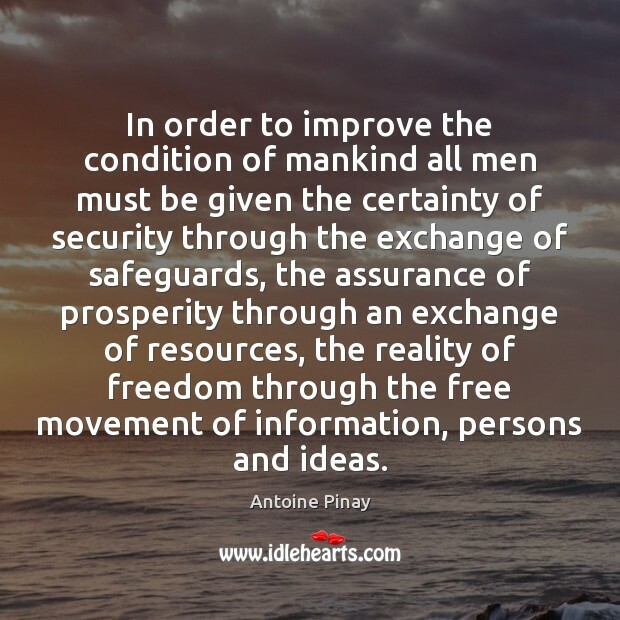 In order to improve the condition of mankind all men must be given the certainty of security through the exchange of safeguards, the assurance of prosperity through an exchange of resources, the reality of freedom through the free movement of information, persons and ideas.